(LWI) Wearing school uniform, seated at a school desk and learning again, is a dream come true for Jennipher Thauzeni, a student at Kalonga Community Day Secondary School, some 80 kilometers southeast of Malawi’s capital Lilongwe. She had little hope of ever stepping back inside a classroom. Then she heard from the local authorities that the Evangelical Lutheran Church in Malawi (ELCM) was helping girls like her return to school. Today, the mother of a four year-old boy is among 47 young girls who have resumed schooling at the Kalonga community school, thanks to a program implemented by ELCM and the Lutheran Communion in Southern Africa (LUCSA). “I am happy being back at school. 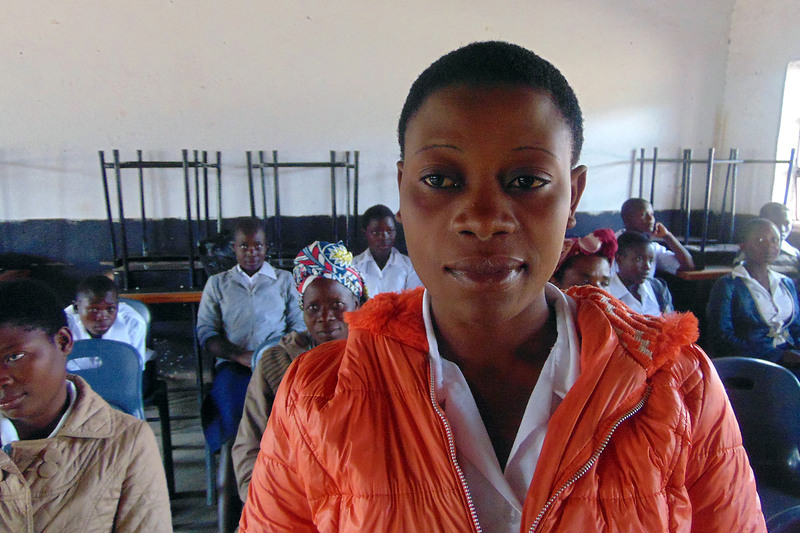 After I complete my studies I can get a good job and I will be able to support my child,” Thauzeni says. 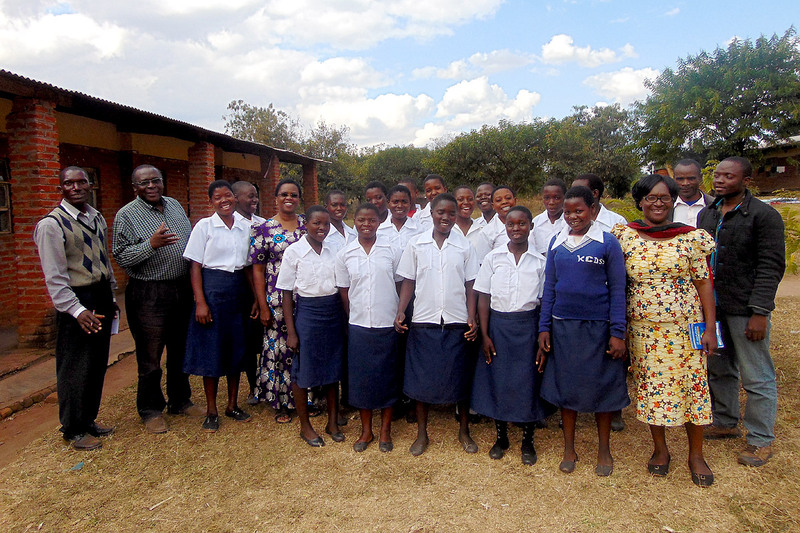 The church saw the back-to-school initiative as a way of empowering girls in a country that has one of the highest child marriage rates in the world. Judith Jere, ELCM assistant director for Diakonia, says “the church saw the back-to-school initiative as a way of empowering girls in a country that has one of the highest child marriage rates in the world, with nearly 50 percent of girls particularly in the rural areas, marrying before the age of 18.” Child marriage is a barrier to education, making young girls even more vulnerable to poverty and violence, she adds. Thauzeni’s classmate Cecilia Labani says although she and her friends are enjoying their classes, girls especially those from economically disadvantaged backgrounds are still exposed to the risk of dropping out of school as they walk up to ten kilometers to school daily. “We thank ELCM for bringing us back to school but we still face challenges. We ask the church and other well-wishers to support us with a hostel as we walk long distances,” Labani adds. Headman Chilowela, village chief of Matsimbe and the surrounding communities of the Traditional Authority Masula agrees, saying 40 percent of the school-age girls in the area are vulnerable to early marriage because of poverty. The Lutheran World Federation (LWF) program on Confronting Poverty and Economic Injustices in Africa supports the ELCM and LUCSA back-to-school initiative for young girls as part of a poverty alleviation project in Matsimbe, which began with installation of a water tank. In Malawi, like other countries in the African region, the LWF supports its member churches in carrying out integrated community-based activities on training and capacity building, advocacy, research and economic empowerment to reduce poverty levels. 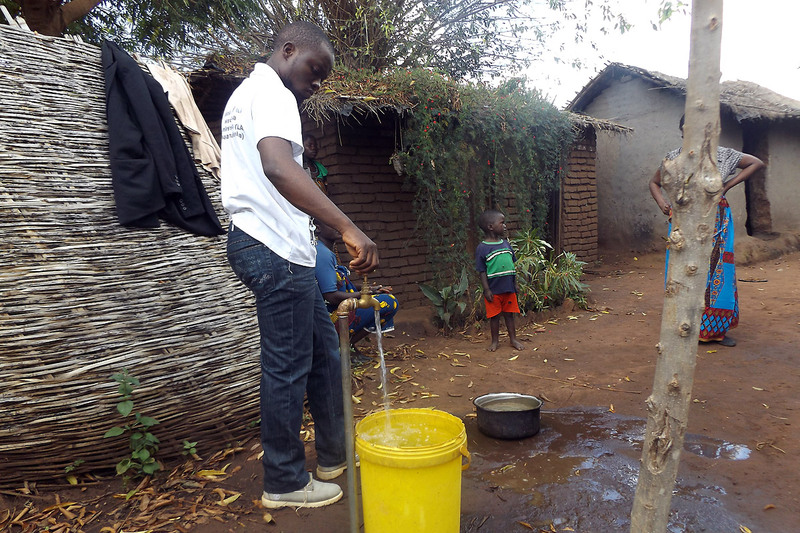 Providing clean water was the first step of the project that started in March 2014. The Lutheran church engaged community members in a participatory planning process including extensive awareness campaigns by village leaders, and invited people to express their needs and offer their skills to realize the desired changes. Since then, primary school enrolment especially for girls has increased and the incidence of domestic violence has gone down. 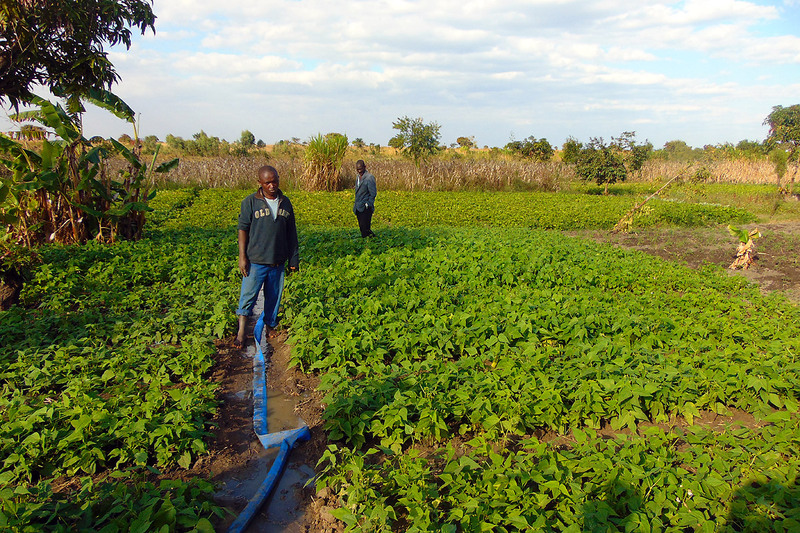 Food security, health, and hygiene have also improved for the over 1,000 targeted households. “I am very happy to see the changes in people’s lives,” says LWF area secretary for Africa, Rev. 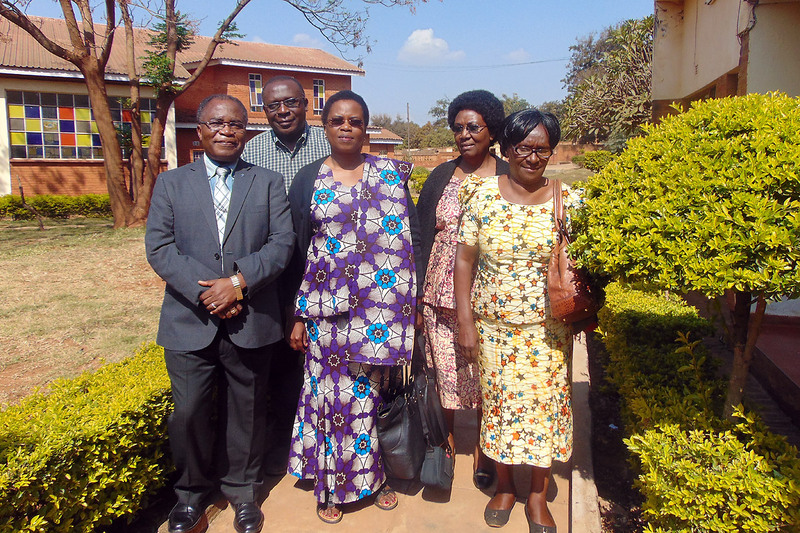 Dr Elieshi Mungure, on a recent visit Matsimbe. “When I came here for the first time in 2014, I could immediately see how the lack of water especially affected the children and women. Most of them now have smiling faces. The project is indeed transforming their lives,” she adds. ELCM Bishop Dr Joseph P. Bvumbwe says the Matsimbe project should not be taken for granted. “You educate a girl child; you transform the household and the whole community. Naturally a girl is a pillar of the household,” he asserts. “Clean and potable water brings life and joy to entire communities,” he adds.